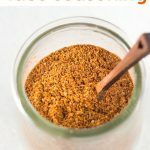 Homemade Taco seasoning you can make from scratch is so quick and easy to make and much better, and cheaper, than the pre-made packets you buy in the grocery store. For starters there’s no added starch like you find in some packs of ready made seasoning, if you’re gluten free like I am or if you’re following a low carb or Keto diet then this is important! There’s around 2g net carbs per serving with my Homemade Taco seasoning , so not a lot if you’re adding it to a skillet of ground beef, or with some chicken. Use fresh spices, if your spices have been in your pantry for more than six months ditch them and buy new ones. 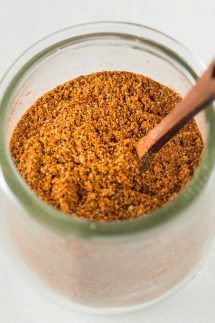 Keep your homemade taco seasoning in an airtight container, this will help it to be more flavorful for longer. If you like some heat feel free to add in some cayenne pepper, I’m cooking for kids so I don’t usually add it. 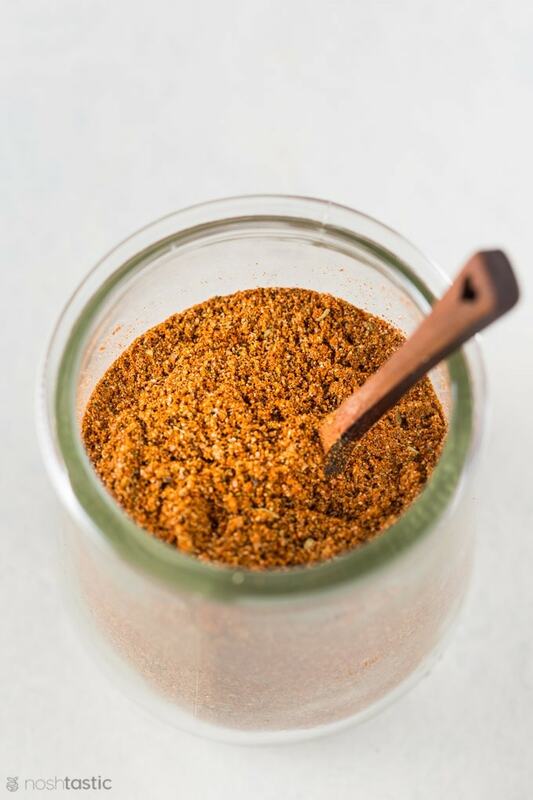 There’s minimal salt in this taco seasoning mixture because everyone’s tastes vary so you’ll need to taste and season more if you need to once the meat is cooked. 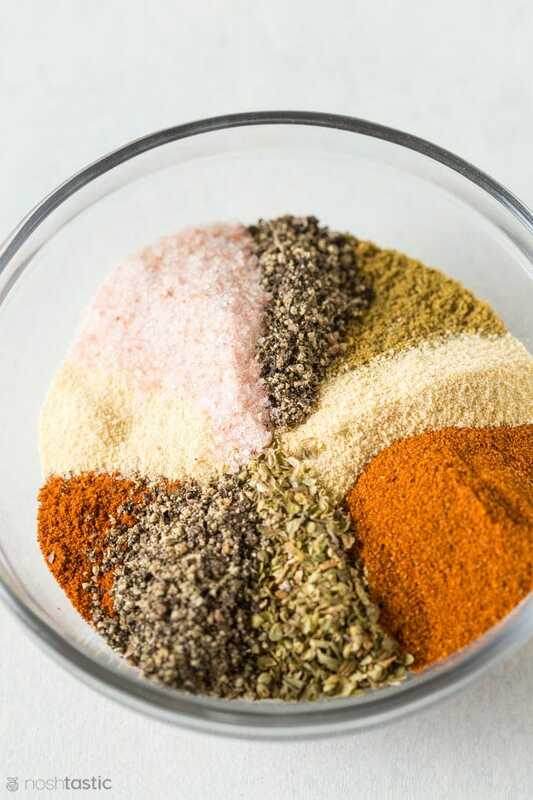 Quick and easy Taco Seasoning blend you can make at home. Mix all spices together, feel free to omit the salt and simply add that to taste when you cook with it.